Dr. Nishith Chandra is Director, Interventional Cardiology, at New Delhi's Fortis Escorts Heart Institute & Research Centre. Dr Nishith Chandra is very experienced at treating patients with complex coronary interventions including Rotablation, Carotid Interventions, Balloon Valvotomies and Peripheral Vascular Interventions. Dr. Nishith Chandra has been instrumental in setting up the highly acclaimed Air Ambulance Unit of Escorts Heart Institute that has enabled the transportation of more than 300 critically sick patients from all over India and neighboring countries. Beside this, Dr. Chandra has been the in-charge of the Emergency and Heart Command Centre of Escorts Heart Institute. Dr. Nishith Chandra also has a keen interest in medical informatics and electronic medical records and is involved in digitizing the cath lab processes. Dr. Chandra has authored many publications in peer reviewed national and international journals and has written chapters in many books. 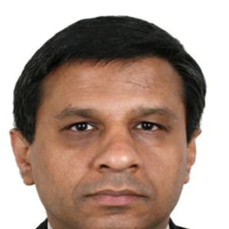 Dr. Nishith Chandra has been actively involved in the field of Interventional Cardiology for more than 21 years. Dr. Nishith Chandra is the former Head of Department of Cardiology at Noida Branch of Fortis Escorts Heart Institute, and has been associated with institutes of national repute. Fellow, Society of Coronary Angiography and Interventions (USA). Member, Indian Society of Critical Care Medicine. Life member, Cardiological Society of India. Life Member, Indian Medical Association. MBBS- King George Medical College, Lucknow. MD-King George Medical College, Lucknow. DM(Cardiology)-King George Medical College, Lucknow. Training in Critical Care Air Transport, from UK & CRT Device Implantation from NUSCH.